Artistry in Wood 2016 was held at The Woodsmith Store on September 23rd through the 25th. Members of the Woodworkers, Woodturners and Carvers Clubs brought 92 Projects that showcase the outstanding skills and excellent work by Members of the of all three Clubs. The attending Club Members vote for the “Bill Hopkins” Best of Show Award. This Award honors Bill’s long-term contribution to the Club. It was won by James Meinders for his walnut Marquetry Sideboard Cabinet (photo #34). The attending Public votes for the "People's Choice Awards". 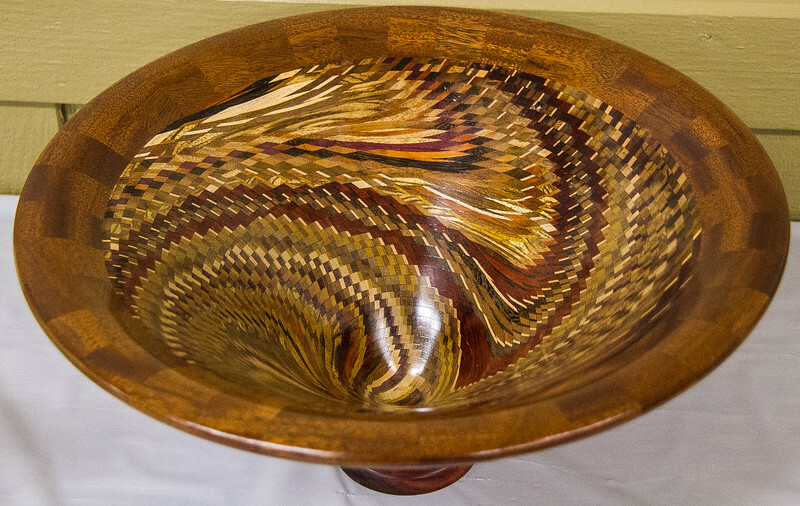 Tom Whalley's turned Layered Bowl (photo #16) received the most votes.